The way globalization has unified the whole world, education has been no exception as it paves a roadmap for a better tomorrow. 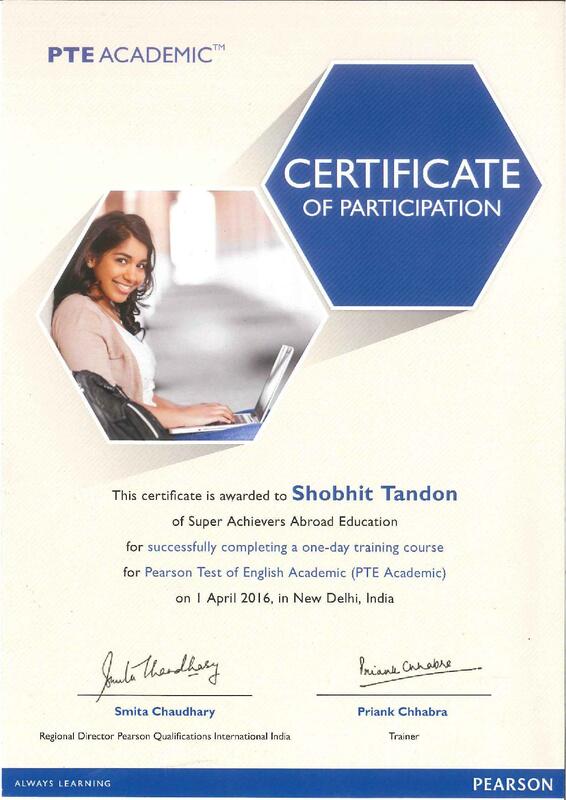 Candidates move abroad in wake of best available education and at Super Achievers, we make them dream come true. We understand the parameters of international tests and efforts needed to crack them; as such we prepare our candidates in the best educational environment. Read more. 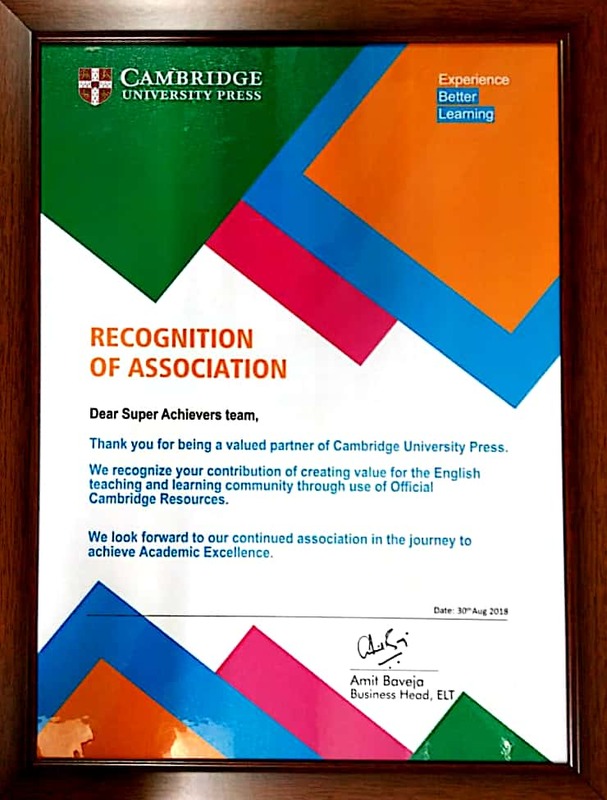 Super Achievers, a pioneer in the stream of “Global Education” dismisses all the myths associated with graduating from top ranked international universities. The brains behind the institution have brought the notion of abroad education to the access of every student. We have made it affordable and devoid of painstaking processes. Academic opportunities are available worldwide and need some aspiring minds to catch them at the earliest. In order to do it, they have to go through some rigorous exams like TOEFL, IELTS, GMAT, SAT and PTE Academic. We at Super Achievers Abroad Education offer individual courses for each test to make aspirants completely prepared for the action. 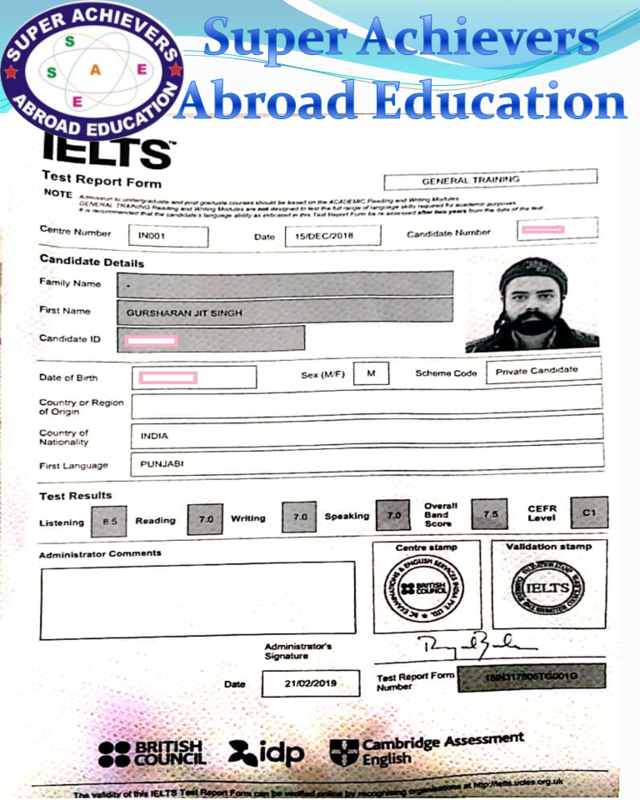 IELTS stands for International English Language Testing System is the most popular English test in the world for abroad education. 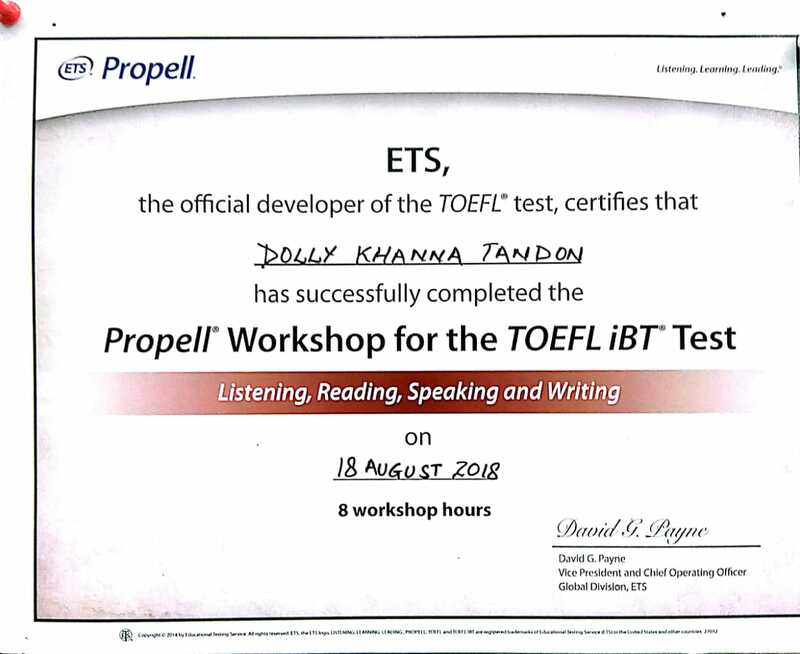 Super Achievers, the topnotch IELTS coaching in Gurgaon provides preparation course for enhancing writing and speaking ability of candidates in the desire to qualify the test. 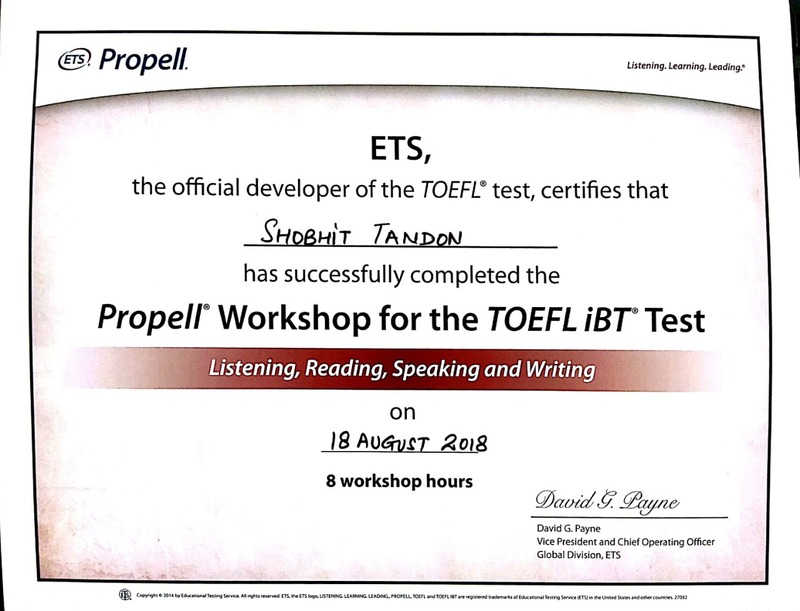 TOEFL is widely regarded English-language test worldwide and allows a student to qualify for more than 9,000 colleges and institutes in 130 different countries. 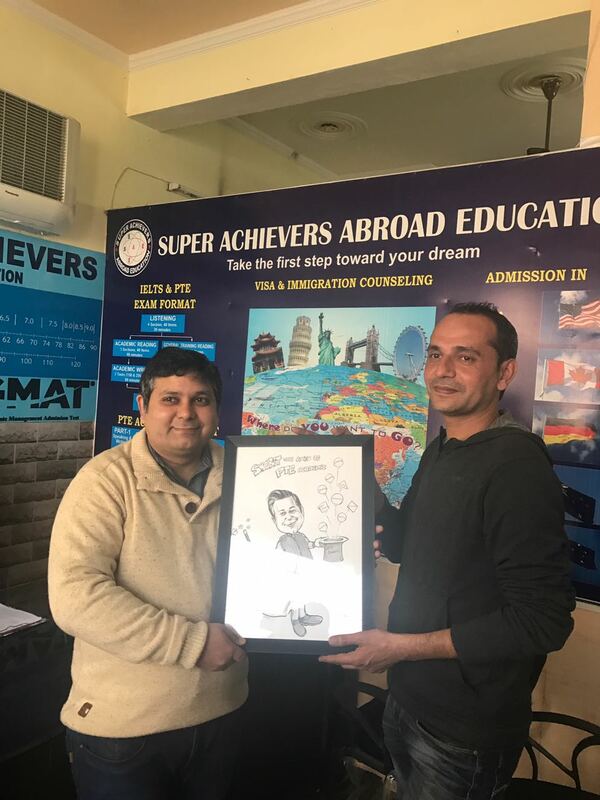 Analyzing the vast scope of the global test, Super Achievers, the best TOEFL coaching in Gurgaon has a well-established academic center for its students. 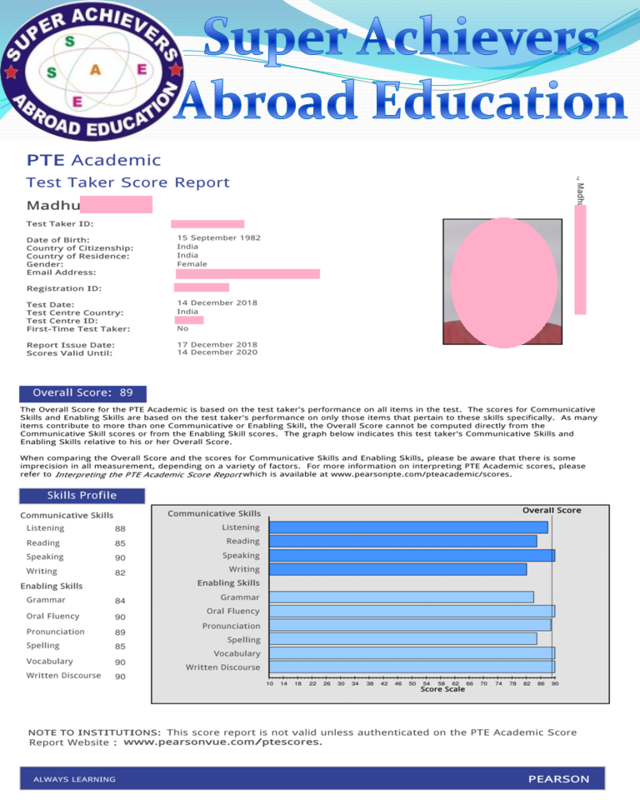 PTE is Pearson Test for English Academic and the objective of the test is to identify the English speaking, writing, listening and understanding the ability of non-native English speakers. 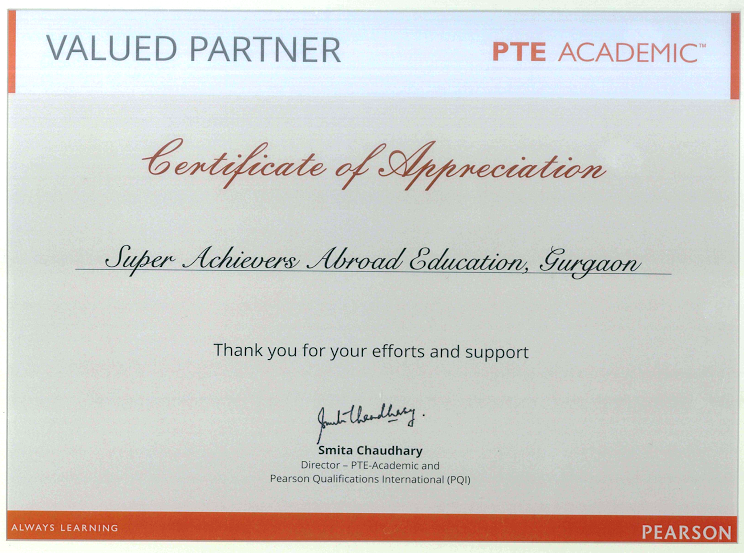 We at PTE coaching in Gurgaon provide education under the guidance of expert teachers. GMAT or Graduate Management Admission Test is your entryway to national and international universities, both. We at GMAT coaching in Gurgaon offer the best educational environment to keep you motivated and prepared for qualifying the test with desired scores. SAT or Scholastic Aptitude Test allows you to take admission in the colleges and universities of United States. Our SAT coaching in Gurgaon enables students in clearing off the exam with a successful result. Gursharan came to Super Achievers Abroad Education from Mohali. He was struggling to gain 8,7,7,7 which is CLB 9. 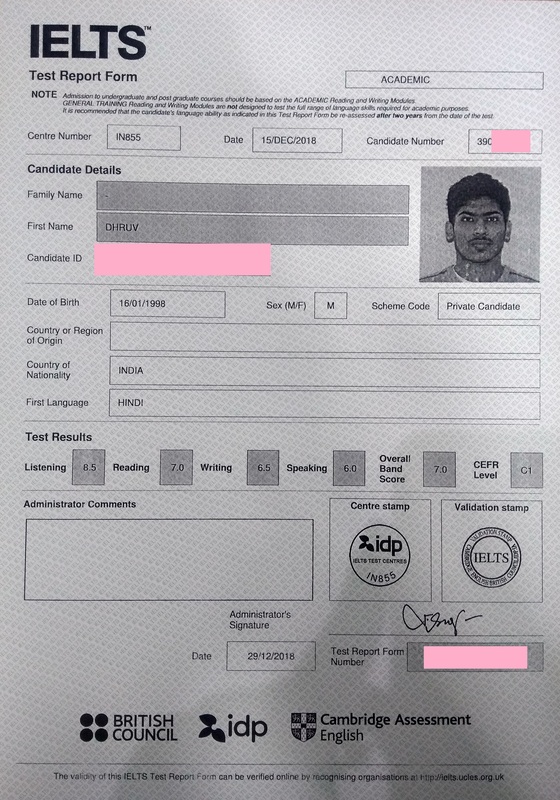 With our IELTS expert, he gained this score with one month preparation. 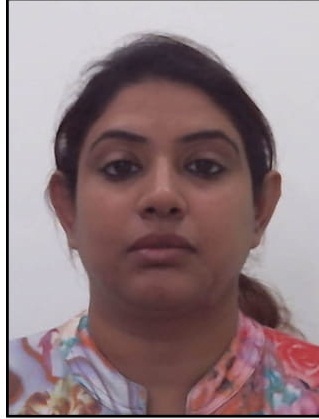 We charged him 13,900/- for month for our trainers' hardwork and dedication including vast experience of success stories. This mutual effort made the result possible over 4 weeks of IELTS preparation with the best training centre for IELTS exam in Gurgaon. We offered various online speaking sessions to him to rush beyond the time segment. 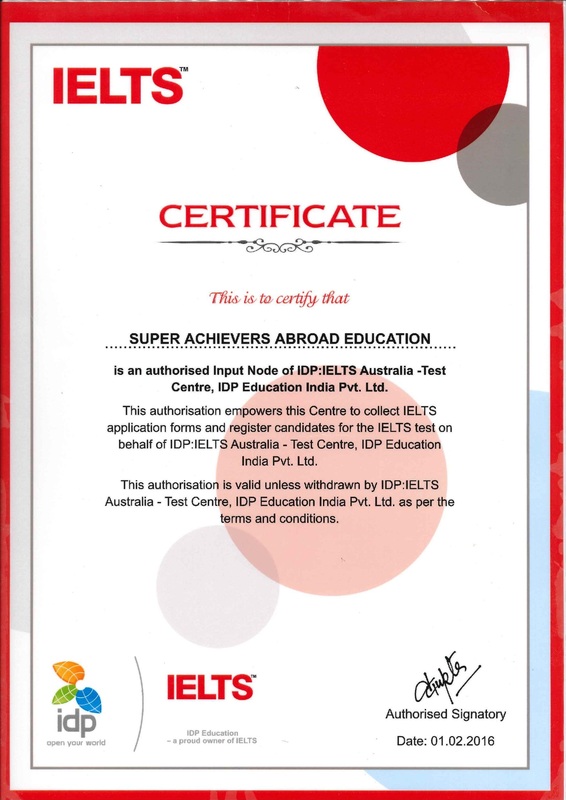 If you want to be next join the super achievers abroad education because only we are the official partners of british council and IDP-Australia in Gurgaon. I have been able to score well with 1 month coaching. 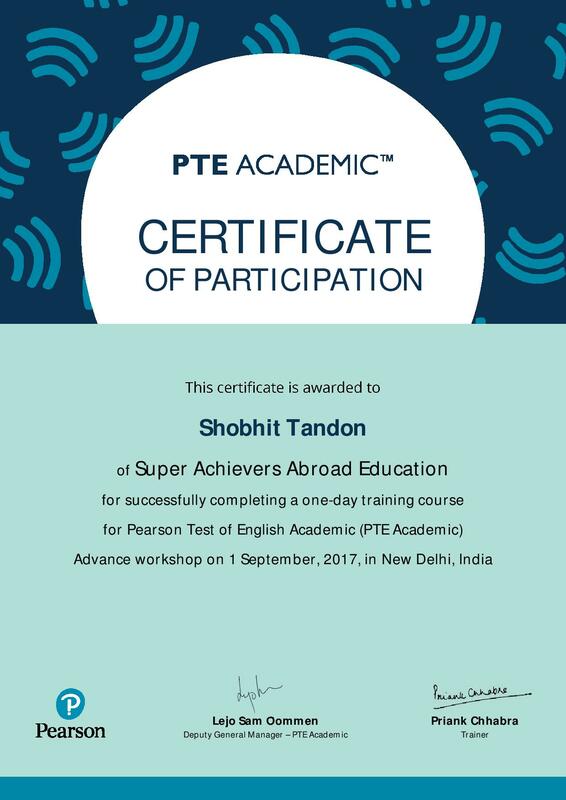 Congratulations Super Achievers for achieving score in PTE Academic within 22hrs preparation with International Trainer Shobhit Sir. 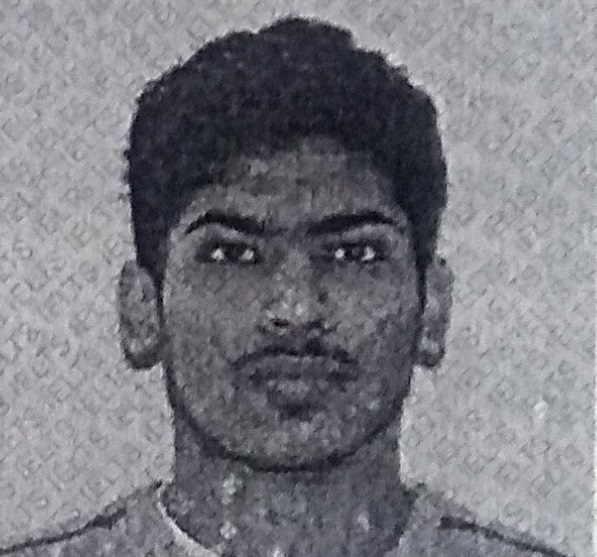 I am really happy and proud to be educated by Shobit Sir Really appreciate his efforts with which he educates his students He puts in lots of efforts a. guides us with the right tips and tricks to crack the examination Really recommend the academy Happy and satisfied student .